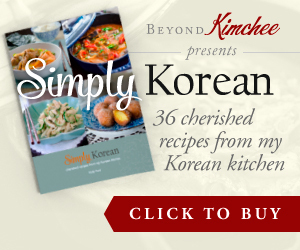 You are here: Home > Archives > Recipes > Korean Recipes > Main Dishes > Tofu Bibimbap, a rustic rendition in a stylish blog. Tofu Bibimbap, a rustic rendition in a stylish blog. 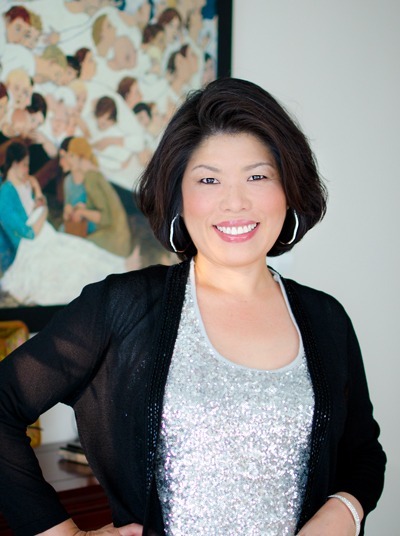 I am pleased to let you know that I was nominated for “Stylish blogger” by Tammy from Koreafornian Cooking. But I want you to imagine me (5’2″ Korean woman) wearing a Versace gown with all the hair and make up, holding an Oscar on one hand and a piece of paper on the other. So, here is my acceptance speech for this award, which is to let you know 7 things about me. 1. I have sung in front of Gladys Knight. I didn’t know who she was until much later time. 2. I have suffered polio as a child, which caused my left leg to wear a brace my whole life. 3. I studied fashion design in college. But I do not look like a stylish designer. 4. I belong to The Church of Jesus Christ of Latter-day Saints. I am a Christian. 5. I tend to talk(mostly in Korean) in my sleep. My husband told me that. 6. I hardly watch K-drama nor listen to K-pop. But I am 100% Korean. Weird, isn’t it? 7. I can make pretty darn good apple pie, all from scratch. I will post that some day. Below are the “pay it forward” stylish blogs that I enjoy visiting occasionally. The recipe I am sharing today is quite simple and rustic bibimbap. Anything can be bibimbap as long as you mix with rice and some sauce to go with it. I would like to introduce Korean soybean paste called “된장, Duenjang”. Not everybody like this paste since it has very strong smell and pungent flavor. However, if you consider yourself a true Korean food addict, then the duenjang has to be part of your repertoire. I won’t be lying if I say duenjang is #1 comfort food ingredient in Korea, especially among men. If you never tried the duenjang, give yourself a chance to get to know it. The more you try, the better it will taste, and eventually you will get hooked. I will show you how you can enjoy the duenjang with tofu and chives in bibimbap, a rustic rendition. Tofu, duenjang (yellow bean paste), chili paste, Asian chives, vinegar, fish sauce, sesame oil, sesame seeds, sugar, garlic, minced onion, and some roasted seaweeds, plus Korean chili flakes that I forgot to add in the list. First, slice tofu and sprinkle some salt on top. Heat oil in a skillet and pan fry the tofu for 5 minutes on each sides over medium heat. For detailed instruction on how to fry tofu, click here. Meanwhile let’s take a look at duenjang. Korean Duenjang on the left and Japanese Miso on the right. You can see the color difference. Duenjang is made of 100% soy beans and has strong pungent flavor. Miso has some rice or barley added to the soy beans so it yields more milder and sweeter flavor than Duenjang. The types of bacteria that are formed during fermentation in both soy beans are different as well. I also highly recommend to get organic duenjang. It taste much better and almost like home-made. It costs more but worth it. Combine duenjang, a tiny bit of gochujang (Korean chili paste), garlic, and minced onion (I used dried). Add some water to make desirable sauce consistency. Just like that. I can dip fresh cucumber sticks or green chilies in this sauce. You can even put a dollop on the lettuce wrap with Korean BBQ. So good together. In a bowl combine sliced chives with chili flakes, vinegar, sugar, fish sauce, sesame seeds, and garlic. When tofu slices are well fried, cut them into whatever size you like. This is seasoned and roasted seaweeds, all time Korean table favorites. We usually use this seaweed to wrap some rice with. This is a black food, color of healthy food. Cut or tear into small chunks for topping in the dish. This bibimbap tastes better with mixed grain rice rather than white rice only. The mixture of brown rice, white rice, wild rice, barley, etc balances well with the sauce. Wholesome and rustic always go together. Dishes like this can help you understand why Korean foods are known for so healthy. for the sake of others around you. Sprinkle pinches salt over sliced tofu on paper towel, let it sit for 5 minutes. Before you add the tofu slices to hot oiled skillet, Press each slices with dry paper towel to remove some moisture. Pan fry them for 5 minutes, each side, until golden brown crust forms. Cut each slices into desired bite size pieces. Meanwhile combine chives with chili flakes, anchovy or fish sauce, vinegar, sesame oil, and sesame seeds in a mixing bowl. Toss them well until all the seasoning gets incorporated with chives. Set aside. In a small mixing bowl combine all the duenjang sauce ingredients. Mix well. You can adjust amount of water for desired consistency. To serve, place hot rice in a large individual serving bowl, top with tofu pieces and chives. Put 2-3 tsp of sauce on top and sprinkle with crumbled seaweeds. Mix well and serve. This sounds so simple yet so delicious... I think chives (and green onions for the matter) work so harmoniously with doenjang. Also, thanks for the tip about the organic doenjang! I normally buy locally made doenjang because I find the commercial ones put a lot of wheat flour in them....blehh. Does the organic one contain flour? There is no wheat flour contained in Organic doenjang. I know what you mean by commercial doenjang doesn't taste right. Nothing can be better than home-made but I found these organic doenjang taste far better than any commercial one including the the texture. Congrats on your award! You have a lovely blog, I love the photos and your explanations. This recipe is on my cooking list, so glad you posted it. I love your blog. I love Korean food! A few questions for you. For organic deongjang, what are the words that we look for that means Organic? Can you please take a photo of your deong jang and circle the word that means organic? Also, I notice your rice is purple and has other things in it too. what is your mix of rice? there is a picture with the character written on the package of doenjang. brown rice, 1/4 pressed barley, and add about 2 Tbsp of wild rice. darker purple your rice will be. Hope these hints will help. Thanks, Neeli. Hope you enjoys it. I tried tofu and chives combination before but tofu bibimbap is new to me. I need to get all the Korean pastes/seasonings to start making more Korean dishes. Wow, I'm impressed with all your gorgeous photos and delicious recipes. I wonder if you and your readers are interested in joining the Korean food lover's community, Koreataste.org, which is run by Korea Tourism Organisation. I think people would love to share your recipes and thoughts on Korean food there. There will be a blogging contest to give away prizes so please check it out and apply to a blogger. So great. I make this all the time w Japanese miso, Chinese chili paste and other subs. Don't know how authentic my version is but yummy! Thanks for pointing out. Didn't think about the small amount of the fish sauce in the dish.